When I was a kid I lived in Mattoon, Illinois not too far from a little store called “My Store”. While I admit not very original in name, the store was my store, our store. My sister Debbie and I would walk to the store for candy or other treats, or a loaf of bread for our mom. The store was close enough she didn’t worry a lot about where we were although I grew up in a time when parents were not required to have near as tight a rein on their children as they do today. Recently I drove to Ashland, Illinois to visit Jones Brother’s Market for an interview for Senior News & Times and found myself back at “My Store” all over again. There was the old fashioned building, meat counter and friendly faces. 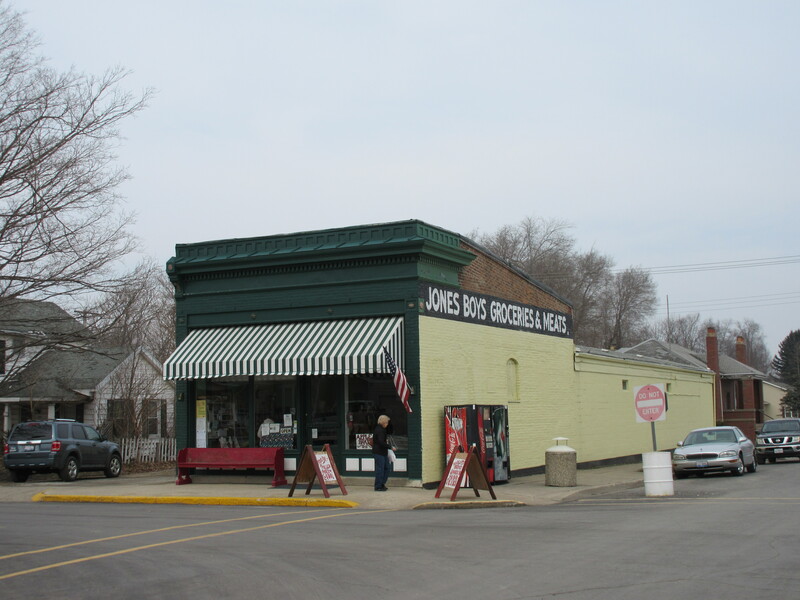 The Jones family offers up amazing meats and specializes in brats that are bringing people from all over central Illinois to this small town. Last night I tried a Cheddar brat and loved it. I can’t wait for the Monzerella garlic brats as well. The business began back in 1932 with a woman at the helm. In fact, Dan Jones said she was the first female business owner in Ashland. The building was built in the 1850’s and expanded by the second generation to run the store in the 1940’s. Needless to say, I loved my visit and hope you will read all about it in the May issue of Senior News & Times. If you can’t wait and need more details, Jones Market is located at 201 Editor Street in Ashland. They are open Monday – Friday from 7:00 a.m. until 6:00 p.m. ad Saturday from 7-4. Check out their Facebook page https://www.facebook.com/pages/Jones-Boys-Market for more information or call 217-476-3914. Next Post: Sublette is over….